Never be caught short again! 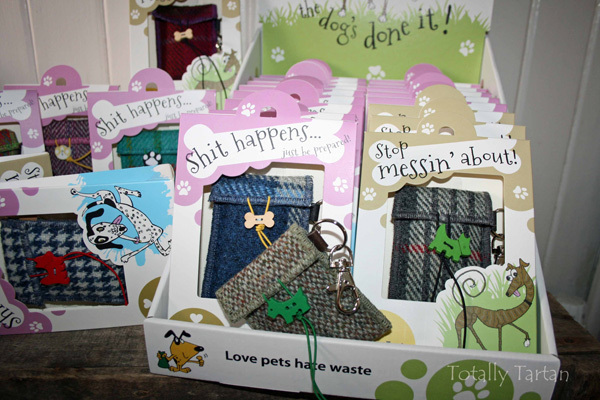 These little poo bag pouches make a quirky little gift from Scotland. Made from Harris Tweed in tartan, herringbone and checks and in a multitude of colours. They contain a poo bag and can be clipped to your bag, jacket or indeed the dogs collar or lead. They’re ideal to buy for that wee gift drawer as they will suit almost anybody with a dog.